That day is always there. Some memories painfully clear and others more distant, but always there. I wake from a sound sleep to a wet pillow. There were no remnants of dreams, but I must have cried most the night. I lose time after waking. I close my eyes now trying to remember the events of the day. I see me rocking my sweet two year old. I remember holding her. More, I remember the smell of her hair and the sound of her gentle breathing calming me. More time passes. Did I eat? Probably not. Shower? I must have. I vaguely see myself through a steamy bathroom mirror. Not wanting to go out. Not wanting to finish this day that has only just begun. Again, time passes with only small moments sticking in my mind. Crying over a run in my new stockings. Staring at my new bright red heels…why did I buy these? I would never normally wear them and never will again after this day. I see my daughter spinning in her new dress. Smiling because she’s a princess. I love her innocence. I love that she can smile and laugh on this day. I’m glad she’s so young she won’t remember it. Because I will. Blurry as it may be it will stick to me forever. Somehow we are ready and in the truck driving. I’m reading my speech again and again. I know it every word and every pause. I wrote it myself struggling over finding the perfect words. I know it…knew it. I can’t recall the words now. We are still driving. I don’t normally drink, but I need one this day. Just a little. Just to get through with some numbness. He knows me and squeezes my hand. I remember that throughout the day, his hand squeezes. Strong and safe; the other thing I need more even than a drink. We stop and he goes into a liquor store coming back out quickly. He hands me the bag to open. Southern Comfort. I hate it hate the taste, but he remembered. It’s what she drank…the ladies whiskey. I grimace as I drink, but it calms my nerves for now. Time passes as we drive and the next thing I remember is pulling into the parking lot. I remember quietness. No one moving and no one talking. Not even my normally chatty little princess. I think they must be waiting on me, but I can’t open the door. I don’t want to go in. Somehow we are inside. I sit with my small family next to my sister and hers. We sit quietly not sure what happens next and surrounded by sympathetic strangers. A man gets up to talk. I’ve met him and know he is there to say lovely things, but I don’t hear his words. Or if I did I don’t remember them. I just sit until he squeezes my hand again, reassuring. I know it’s my time now, but I just want to sit there snuggling our daughter, breathing in her hair, eyes closed and my hand safely in his. It feels like it takes forever, but I make it to the front. I stand there not speaking. I look back at them, my people, the ones holding me up today. I look down at my speech, back at them and then at the room full of kind strangers. I remember this part. I remember sharper than any other part of the day. I look all around and back at my love. His gaze is steadfast and still holding me up. Someone coughs, people fidget and still I look without speaking. My sister, she is who I neednow. I see her and she smiles gently. Through tears she smiles and nods her head at me. It’s time. I put my speech down. I won’t be reading it. They aren’t the right words. I look at the strangers again and I know I need to tell them who she was, not read the ‘perfect’ words I struggled over writing. They knew her, but only for the last few years. My sister and I and her husband knew her. We knew her heart and her soul. So instead, I speak from my heart and with love. I tell them who she was. I share with them the woman I knew and loved. 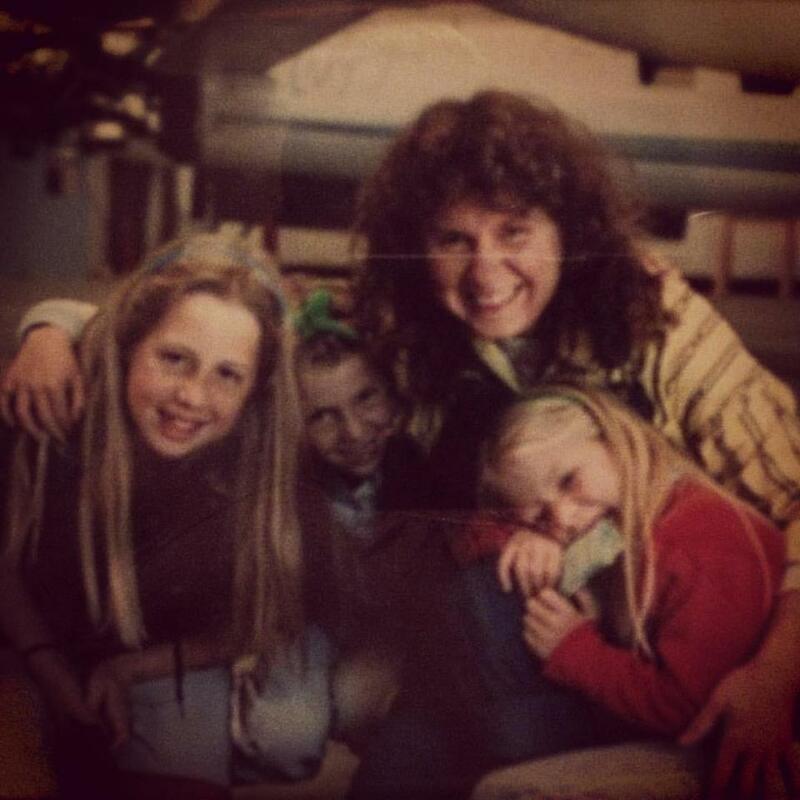 I speak for my sisters and I of the mom we all three loved, her wildness, her laughter and her smiles. I share with them the happy memories and let everything else go. I don’t know how long I talk, but finally I’m back where it’s safe. One hand in his and one in my sisters. I cloe my eyes again. Someone else speaks and then I hear them all get up to leave. I hear them go past and whisper their last good-byes to her. He squeezes me again and then it is just us. Just my sister and I alone with our mom one last time. She is resting now. I can see that. No more pain and no more heartache. Just peace. I’ve brought my teddy, Topper, that she gave me when I was five years old and came to California to live with her. I loved him all those years…he is well worn and well loved. Now, I leave him with her. I tuck him in beside her for always…giving her that extra little piece of my heart. I brush her hair back and kiss her cool forehead. Goodbye mama. I love you. We walk out arm in arm to the people that love us…the ones that will keep holding us up.